We are delighted to have as our guest speaker for our annual lecture Alec Coles, Chief Executive Officer, Western Australian Museum. 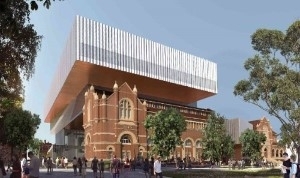 Alec will speak on how the New Museum will build on the past strengths of the WA Museum and what new directions it might take, no doubt including reference to the recent State Government announcement about entry fees to the New Museum. Alec is bound to provide a very erudite and informative presentation, generate a robust discussion and hopefully provide a sneak peek at some images of the New Museum. Please join us for the AGM at 5.30pm (doors open 5pm) and the lecture to follow. Further details on the AGM including agenda, nominations etc. will be forwarded to all members in due course.